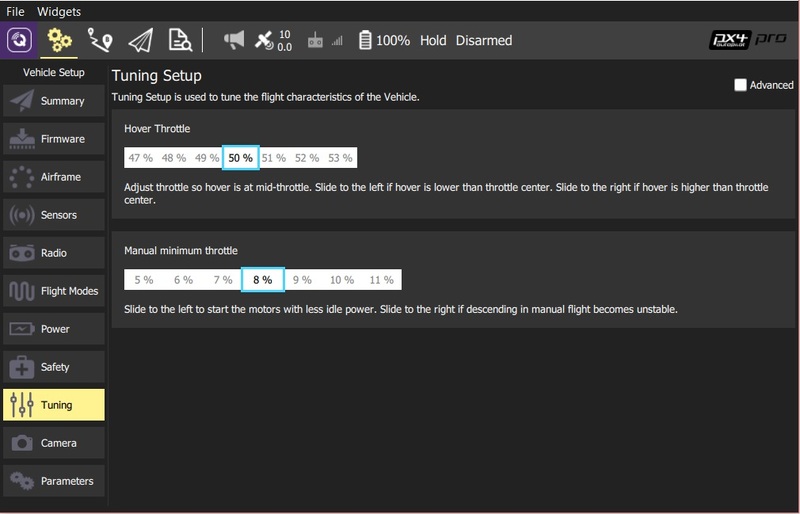 Adjust the specified flight characteristic by moving the slider(s) to the left or right. To access advanced tuning, select the Advanced checkbox. 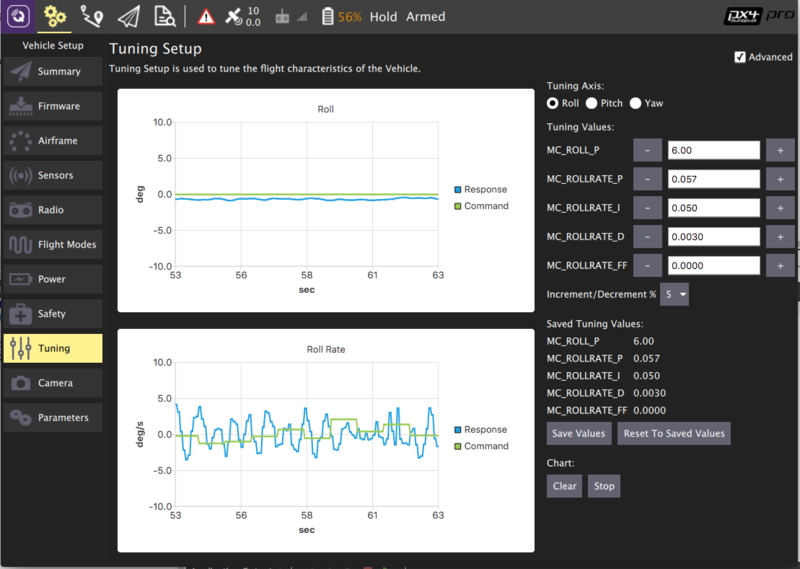 First select the Tuning axis to tune: Rol, Pitch or Yaw (each axis is tuned separately). Fly the vehicle, observing the tracking on the chart. Press the Save Values button if a change improves tracking. At any point you can press Reset To Saved Values to restore the last saved good state. You can also Clear/Stop the chart using the buttons provided.